WASHINGTON (AP) — Clayvin Herrera wound up with a fine of more than $8,000 for hunting elk in Wyoming’s Bighorn National Forest after he posted photos online of his kill, showing off the way showing off often happens these days. The Crow tribe member’s defense, however, in a case that has gotten all the way to the Supreme Court, is more than 150 years old: a treaty his tribe signed with the federal government in 1868. The justices on Tuesday heard arguments in Herrera’s hunting rights case, which is important not only to the Crow tribe but also to other Native American tribes, states and the federal government. Herrera’s case began in January 2014 when he went hunting with family. The group began on the Crow tribe’s reservation in southern Montana but crossed into the neighboring Bighorn National Forest in Wyoming, where they killed several elk. Soon after, a game warden saw the photos Herrera posted on a bragging website for hunters, including one of him crouched in the snow behind an elk he shot and another with its antlers balanced on his shoulders. 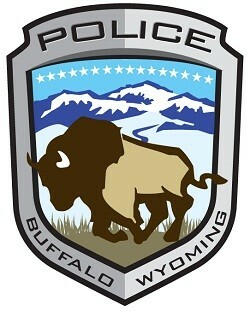 The game warden ultimately identified the area where the photos were taken in the Bighorn National Forrest, and Herrera was cited for killing an elk there during the winter, when it is prohibited. But Herrera, backed by the federal government, points to the fact that when his tribe gave up land in present-day Montana and Wyoming to the federal government in 1868 under the Second Treaty of Fort Laramie, the tribe retained the right to hunt on the land, including land that became Wyoming’s Bighorn National Forest. But the state of Wyoming says Herrera can’t use the treaty in his defense. It notes that a federal appeals court ruling from the 1990s said that the Crow tribe’s treaty hunting rights ceased to exist after Wyoming became a state in 1890 or after Bighorn National Forest was established in 1897. Wyoming also has a Supreme Court decision from 1896 on its side. But another Supreme Court opinion from over a century later, in 1999, was highly critical of that earlier decision and seemingly all but overruled it, some justices said Tuesday. Justice Ruth Bader Ginsburg, who is recovering from cancer surgery, did not attend Tuesday’s arguments, and it is not clear when she will return to the bench. The high court is hearing arguments Wednesday and then again next week. A decision in Herrera’s case, 17-532 Herrera v. Wyoming, is expected by the end of June.